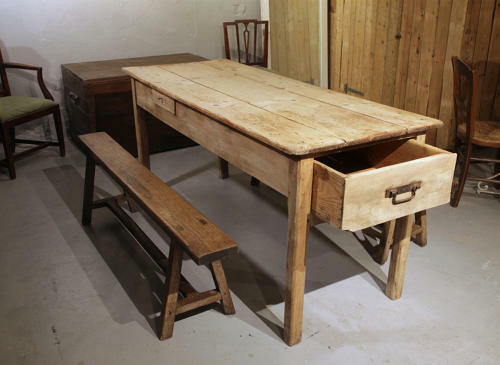 A nice example of a French farmhouse/ kitchen table. Having one large end drawer and two smaller cutlery drawers to each of the long sides. The light Pine top supported on square section chamfered legs.